It turns out that when you cut taxes on the rich their incomes go up. Who would have guessed? 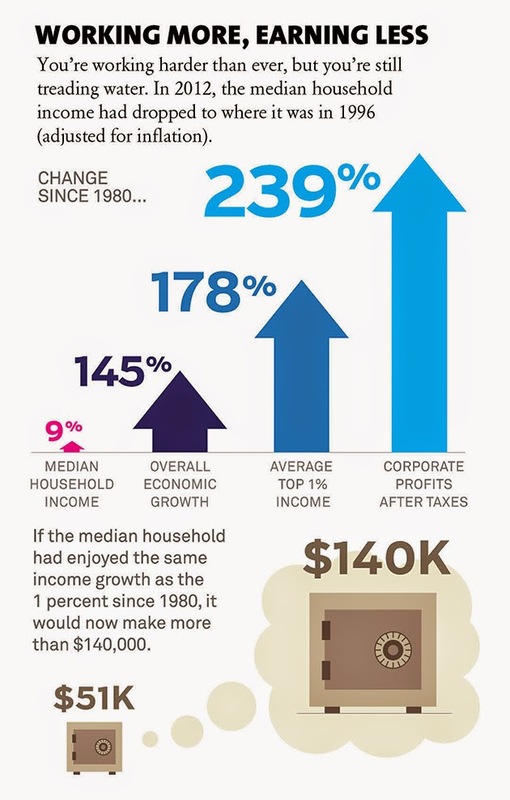 That's from a week-long series at Mother Jones about the effects of income inequality. That proverbial rising tide is really a giant wave. The wealthy are comfortably riding it on their multi-million dollar yachts while the rest of us are strapped to the keel. Sure, you could say we rise with that wave too but we're still under the water.